Back from being stripped. 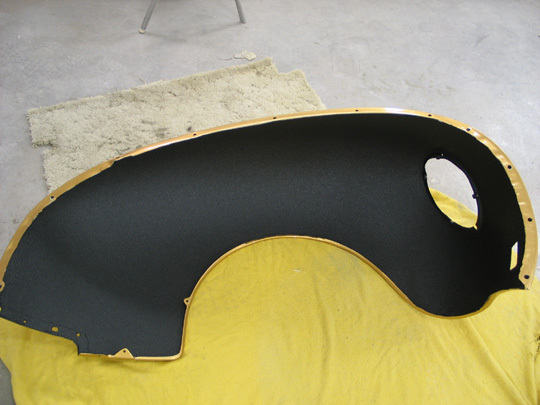 No real big surpises - lower cab corners will need to be made and replaced. The door gaps were tightened up before it went to the stripper. 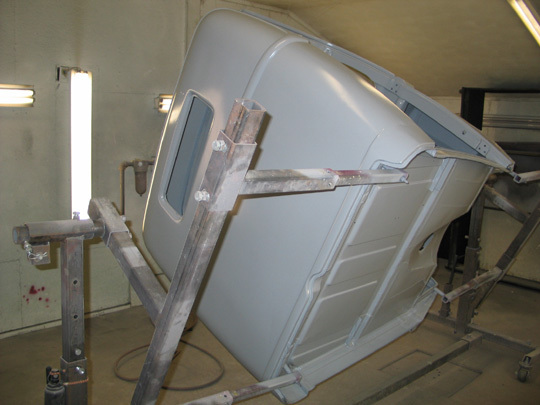 We will now mount the body to the rotisserie for metal work and initial coats of primer. 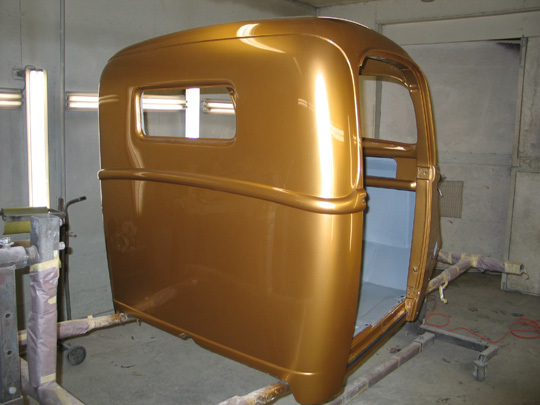 After all of the metal work is completed, we sealed the metal with DuPont Hot Hues Epoxy sealer. At this point the body will go back on the chassis and get mocked back up with the front fenders, hood, etc. 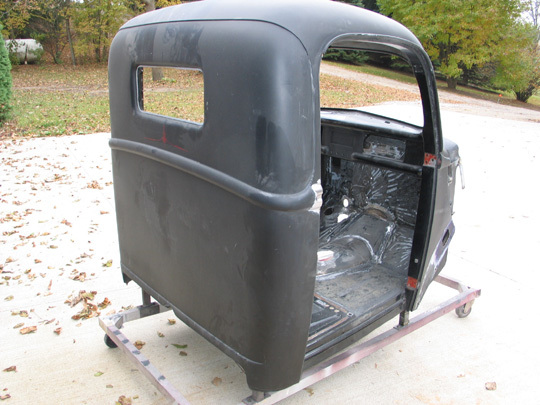 One that is completed, the body will come back off for final sanding and painting. 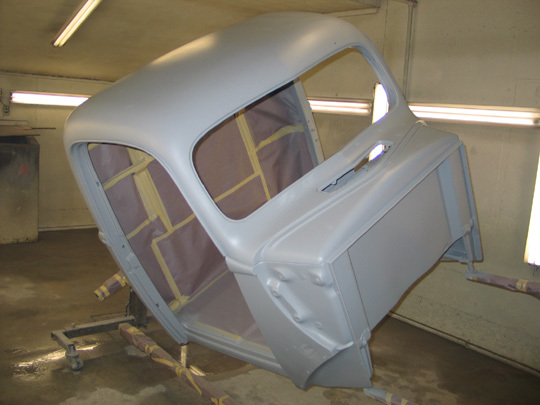 After the filler work is completed, we sprayed the body with DuPont Hot Hues Filler primer. 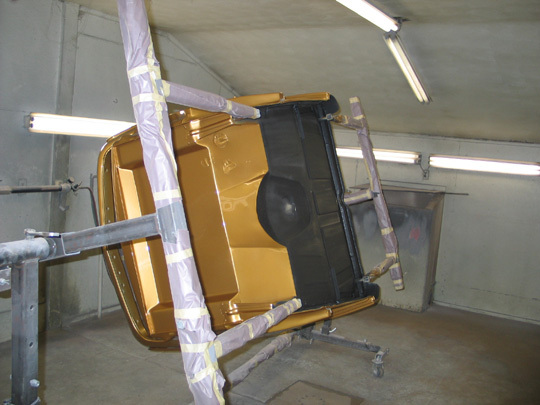 From here we'll block sand and respray the filler primer until everything is perfect. Here's the body and painted, sanding and buffing. 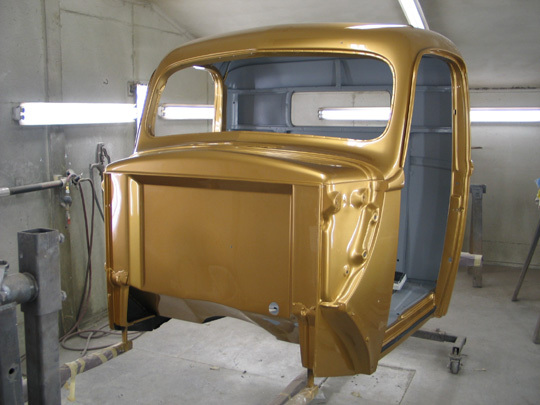 The color is DuPont's Hot Hues Sierra Gold. With the pinstripping we have planned for the truck, it should be really striking. 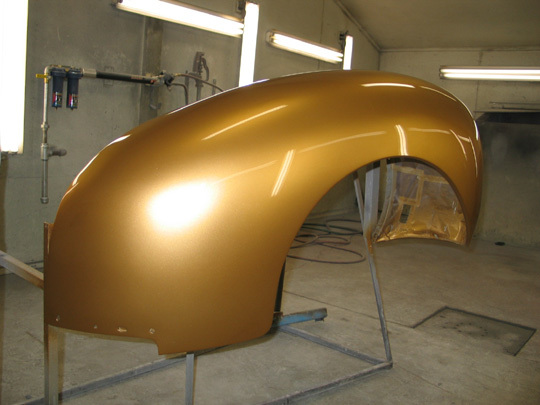 Here's a shot of a front fender. We're going to use the nicer looking '39 headlights. 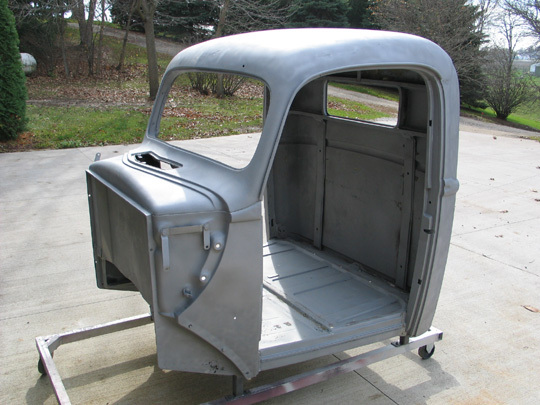 This truck is going to be a real driver, so we've decided to under coat the fenders, running boards, cab. 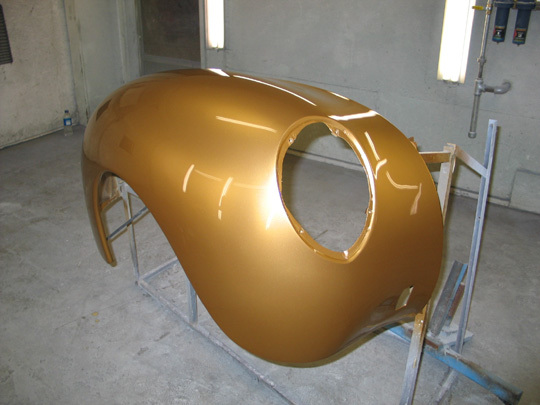 We are using Line-X for this, since it is so durable, and has a real nice looking finish. Here's a shot of the underside of the cab.